The emergence of Virtual Reality goggles with low prices and higher technological simplicity contributed to a further spread of VR among smartphone users. 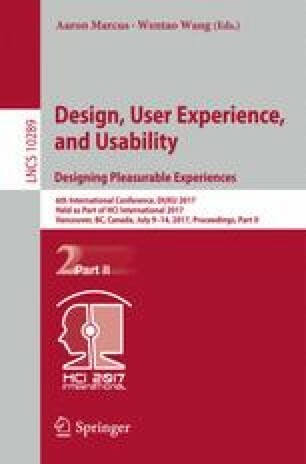 Focused on this type of immersive device, this study consists in a comparative usability analysis of two virtual reality goggles. The adopted criteria to choose the devices was the compatibility with most smartphones and consequently their use by a wide range of users. For the study, we adopted the Leventhal and Barnes’ usability model in order to investigate: the ease of learning, ease of use, ease of relearning, flexibility and task match. Finally, it sought to verify the positive and negative aspects in which concerns to the analyzed products in order to make recommendations to improve the quality of use of these devices.